This practical reference covers all of the advanced rendering techniques important for graphics programmers in the game and film industries, and will help them implement these techniques efficiently with DirectX 10. Using a "cookbook" approach, this guide teaches beginning to intermediate graphics and game programmers how to program shaders in the High-Level Shading Language (HLSL), the primary real-time shading language used in recent game development. 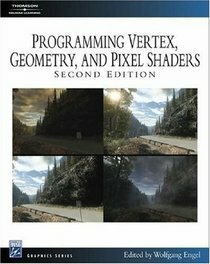 The second edition of this popular book has been greatly expanded and updated with new material centered around using DirectX 10. The release of DirectX 10 brings the biggest changes in graphics hardware, runtime, and API design in more than 15 years. Wolfgang is working in Rockstar's core technology group as the lead graphics programmer. He is the editor of the ShaderX books, the author of several other books and loves to talk about graphics programming. He is also a MVP DirectX since July 2006 and active in several advisory boards in the industry.